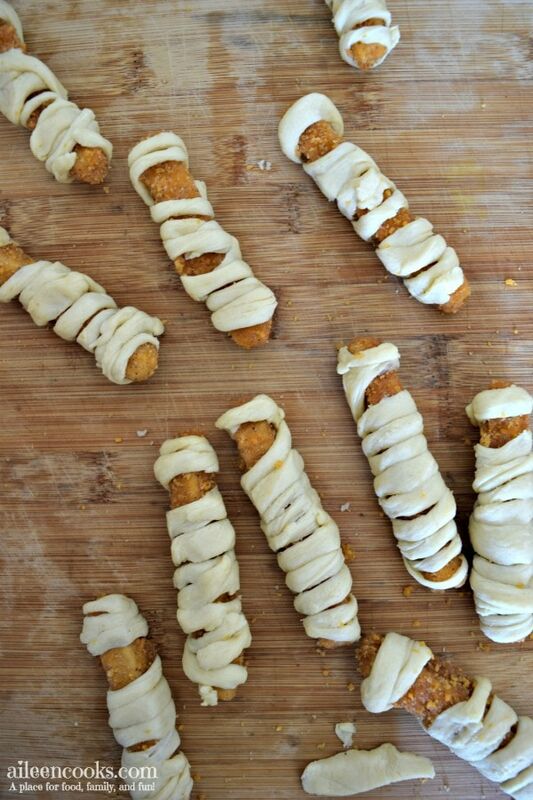 Make these Mummy Chicken Fries for your upcoming Halloween party and wow your friends. 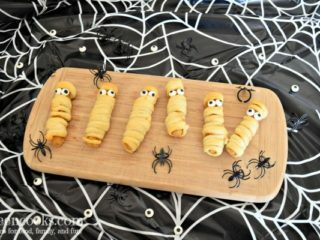 These easy to make recipe will make your appetizers fun and just a little bit spooky. Start by opening a container of crescent dough. 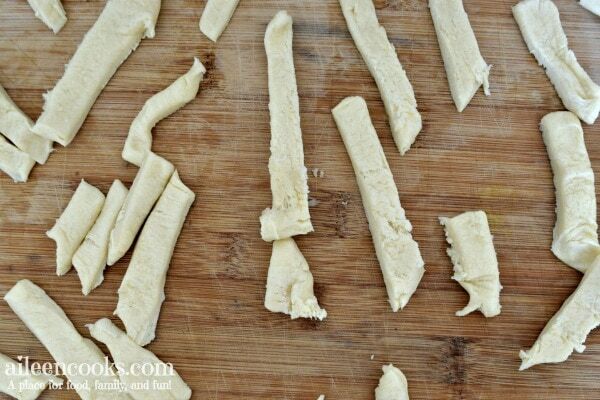 Cut it into thin strips. 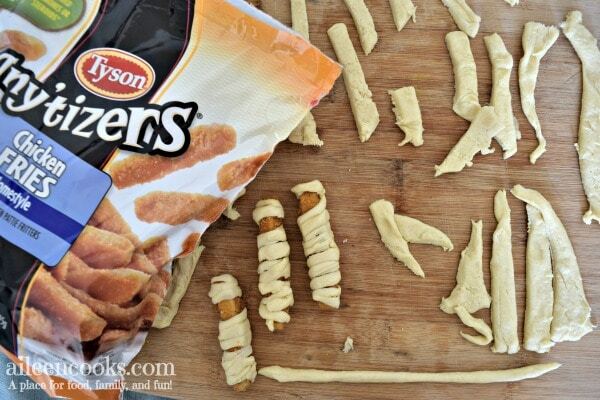 Roll the slices of crescent dough into long snakes and wrap around Tyson Any’tizers Chicken Fries, making sure you leave room for the eyes. Using a toothpick, add two dabs of mustard and top with candy eyes. Pair with spooky Halloween decorations for a frightening feast. 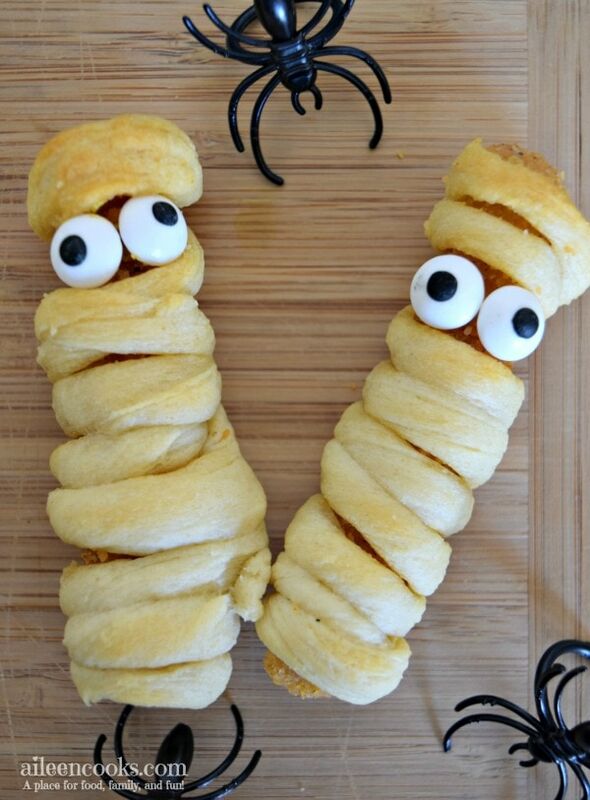 These mummy chicken fries make a great appetizer for a Halloween party. The chicken fries are made with 100% white meat chicken, making it a great source of protein, too! You can pick up all of the ingredients for this spooky treat at your local Walmart. 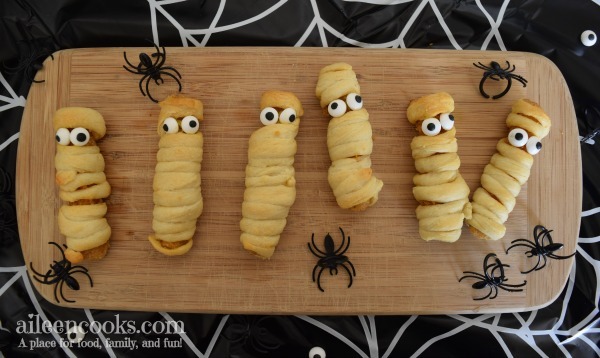 Mummy chicken fries are a fun Halloween appetizer! 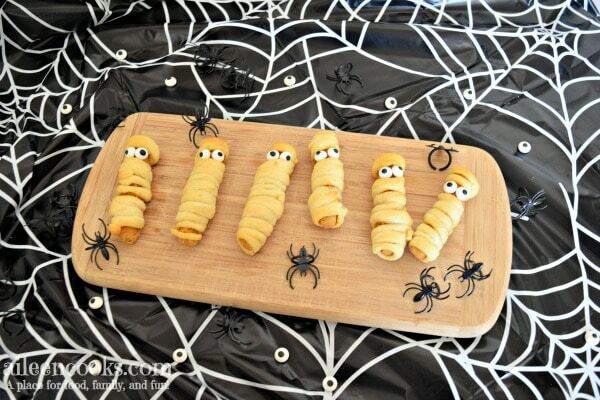 Roll out package of crescent rolls and slice dough into thin strips. 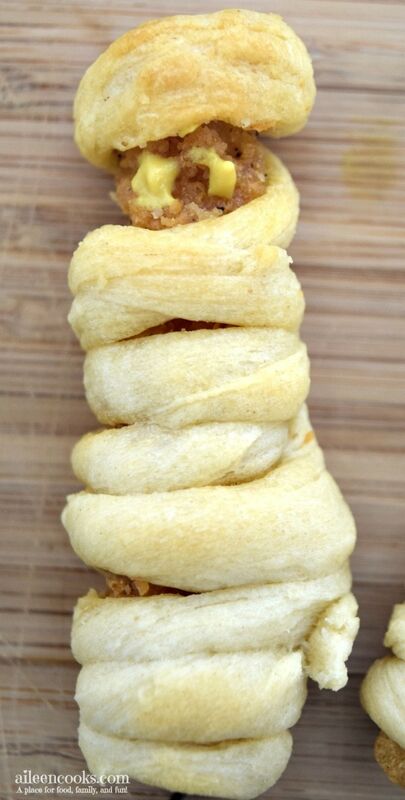 Roll dough out into long snakes and wrap around Tyson Any'tizers Chicken Fries, leaving room between the first and second wrap for the eyes. Place mummy chicken fries on lined baking sheet. Bake for 10-12 minutes, until lightly golden brown. Using a toothpick, dap two spots of mustard in the space for the eyes and top with candy eyes. Repeat with the remaining mummy chicken fingers. These are super cute! Chicken + crescent rolls = YUM. That’s such a fun idea for Halloween! Adding this to my table! Great job!